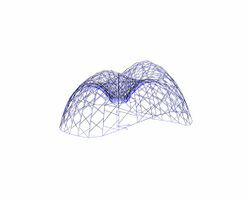 This page contains photographs related to the 99 Failures Pavilion project undertaken by the University of Tokyo Digital Fabrication Lab. 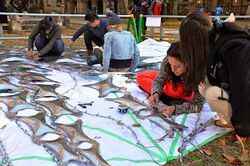 To read more about the project, read the 99 Failures Pavilion by University of Tokyo page. 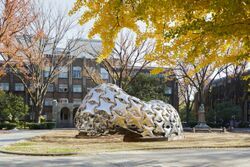 Side view of completed 99 Failures Pavilion by U of Tokyo DFL. 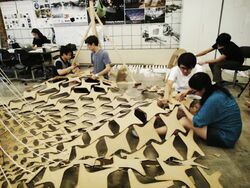 Students completing the wooden model of the 99 Failures Pavilion by U of Tokyo DFL. 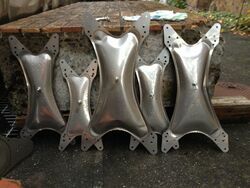 Compression inflated metal pillows of the 99 Failures Pavilion by U of Tokyo DFL. Crane in position to lift the structure. 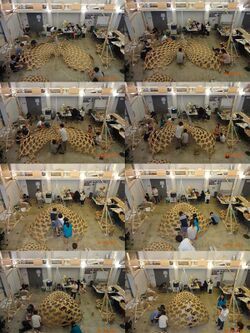 99 Failures Pavilion by U of Tokyo DFL. 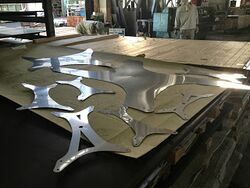 One completed metal compression X piece, 99 Failures Pavilion by U of Tokyo DFL. 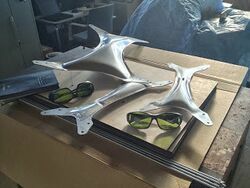 Computer aided design screen of the 99 Failures Pavilion by U of Tokyo DFL. 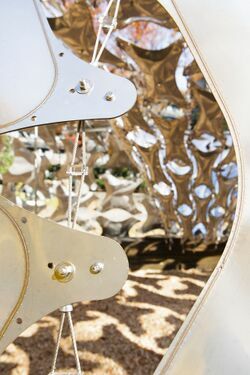 View from within, 99 Failures Pavilion by U of Tokyo DFL. 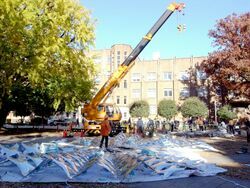 Aerial view, 99 Failures Pavilion by U of Tokyo DFL. Connecting the compression plates to the tendon wires. 99 Failures Pavilion by U of Tokyo DFL. 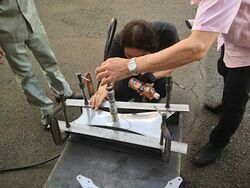 Connecting compression metal plates to the wires, 99 Failures Pavilion by U of Tokyo DFL. 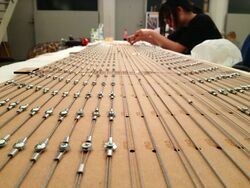 Placing the marionette lifting harness, 99 Failures Pavilion by U of Tokyo DFL. 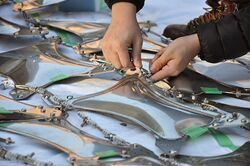 Examining the fabrication of the metal plates, 99 Failures Pavilion by U of Tokyo DFL. 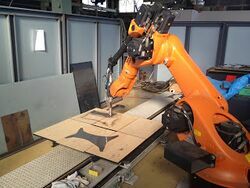 Robotic fabrication, 99 Failures Pavilion by U of Tokyo DFL. 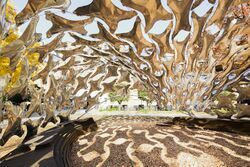 Metallic compression elements, 99 Failures Pavilion by U of Tokyo DFL. 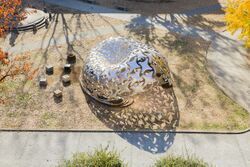 Failures Pavilion by U of Tokyo DFL. 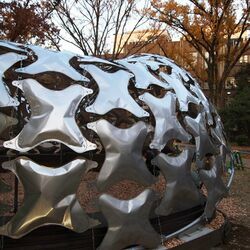 Fabrication validation, metallic compression pieces, 99 Failures Pavilion by U of Tokyo DFL. 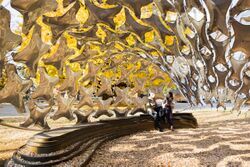 Interior view with bench, the 99 Failures Pavilion by U of Tokyo DFL. Wooden model lifting test, 99 Failures Pavilion by U of Tokyo DFL. 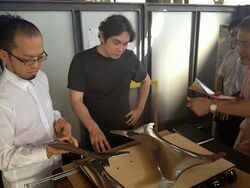 Wooden model inspection, 99 Failures Pavilion by U of Tokyo DFL. 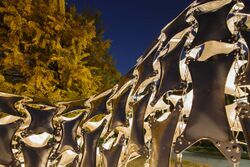 Exterior at night, illuminated 99 Failures Pavilion by U of Tokyo DFL. Interior, enjoying the bench and the view. 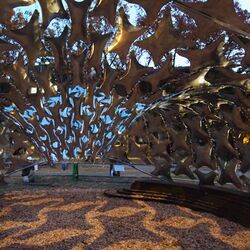 99 Failures Pavilion by U of Tokyo DFL. Lifting the wooden model. 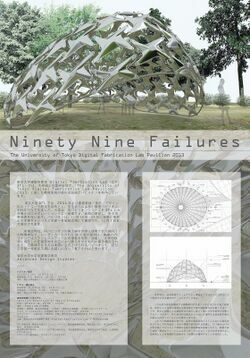 99 Failures Pavilion by U of Tokyo DFL. Wooden model has been lifted. 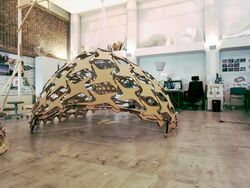 99 Failures Pavilion by U of Tokyo DFL. 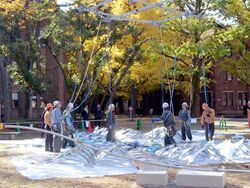 Wire preparation, 99 Failures Pavilion by U of Tokyo DFL. Studio view of the wooden model. 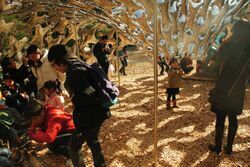 99 Failures Pavilion by U of Tokyo DFL. Fixing the wooden model. 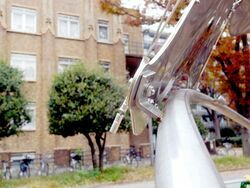 99 Failures Pavilion by U of Tokyo DFL. 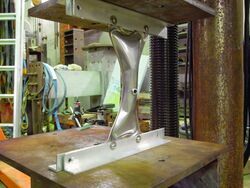 Wooden model after lifting. 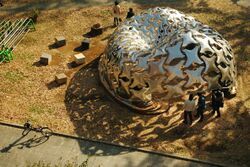 99 Failures Pavilion by U of Tokyo DFL. 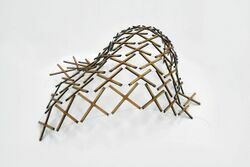 Wooden model, 99 Failures Pavilion by U of Tokyo DFL. Illuminated exterior at night. 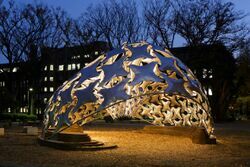 99 Failures Pavilion by U of Tokyo DFL. 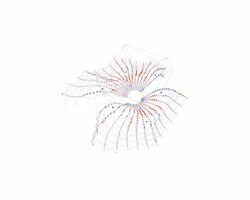 Parametric compter aided model, 99 Failures Pavilion by U of Tokyo DFL. Parametric computer aided model, 99 Failures Pavilion by U of Tokyo DFL. Original computer design. 99 Failures Pavilion by U of Tokyo DFL. Exterior, daytime. 99 Failures Pavilion by U of Tokyo DFL. Students and team. 99 Failures Pavilion by U of Tokyo DFL. X-shaped shadows cast by the sun. 99 Failures Pavilion by U of Tokyo DFL. Students, 99 Failures Pavilion by U of Tokyo DFL. This page was last edited on 25 September 2018, at 12:34.